The restaurant chain known for its free breadsticks says it will sell 1,000 of the $100 regular Pasta Passes starting Thursday at 2 p.m.
Olive Garden is bringing back its "Pasta Pass" that lets people gorge on as much pasta as they want for seven weeks. And friends and family are welcome to pig out too this year. The restaurant chain known for its free breadsticks says it will sell 1,000 of the $100 regular Pasta Passes starting Thursday at 2 p.m. EDT on its website. It will also sell 1,000 family Pasta Passes, which will cost $300 and let cardholders bring along up to three guests. 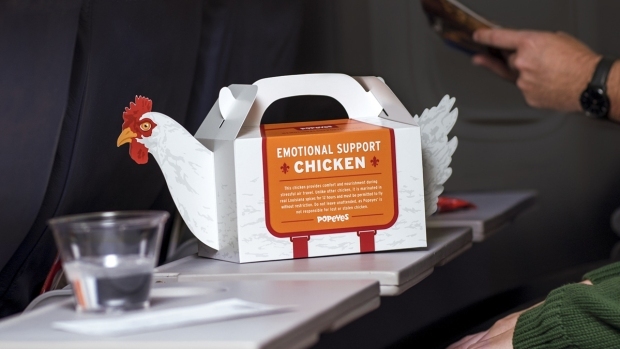 The return of the promotional stunt comes after the passes sold out in 45 minutes last year and generated considerable publicity for Olive Garden, which is trying to modernize its image as customers have turned elsewhere in recent years. Late night talk show host David Letterman even devoted a top 10 list to the Pasta Pass, saying that one of its clauses is that a person's dignity is not refundable. The passes will let people mix and match from a selection of sauces and pastas, including a gluten-free variety this year. The passes also come with unlimited soft drinks and, as with other Olive Garden meals, unlimited soup or salad and breadsticks. The passes are good from Oct. 5 through Nov. 22 at the chain's more than 800 U.S. locations. The passes aren't transferable, so the cardholder has to be the one using it. Jose Duenas, executive vice president of marketing at Olive Garden, said the media attention the passes generated last year was an affirmation that people still have strong feelings for the chain. The promotion this year is a way to celebrate the 20th anniversary of Olive Garden's Never Ending Pasta Bowl, which cost $9.99 and lets people eat as much pasta as they can in a single visit. Olive Garden isn't necessarily trying to tap into Americans' love of unlimited food with the Pasta Pass, Duenas said. "We see it as a manifestation of Italian generosity," he said. Whether the Pasta Passes are worthwhile for customers depends on how often people use them. 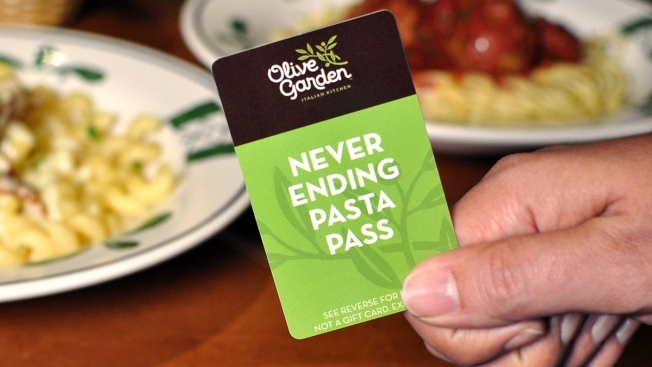 Last year, cardholders used their Pasta Passes an average of more than twice a week, according to Olive Garden. Even though the Pasta Passes generated a lot of attention for Olive Garden, parent company Darden Restaurants Inc. is still working on turning around the chain's performance after its board was taken over by investor Starboard Value. Sales at established Olive Garden locations have edged higher for each of the past three quarters. But the lift has been a result of higher pricing and menu mix; customer visits have continued to slip. Darden, based in Orlando, Florida, reports its latest quarterly results Tuesday.